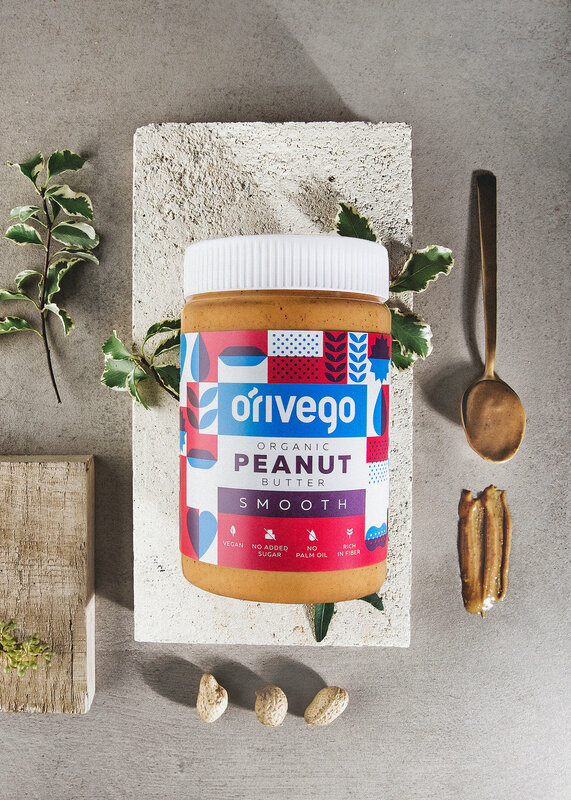 Teamed up with a freelance designer Aivaras Bakanauskas, ORIVEGO took a modern approach and chose a tall and straight cylinder shape jar made of light-weight plastic, instead of a high carbon footprint glass or the usual curved plastic jar common on the market. 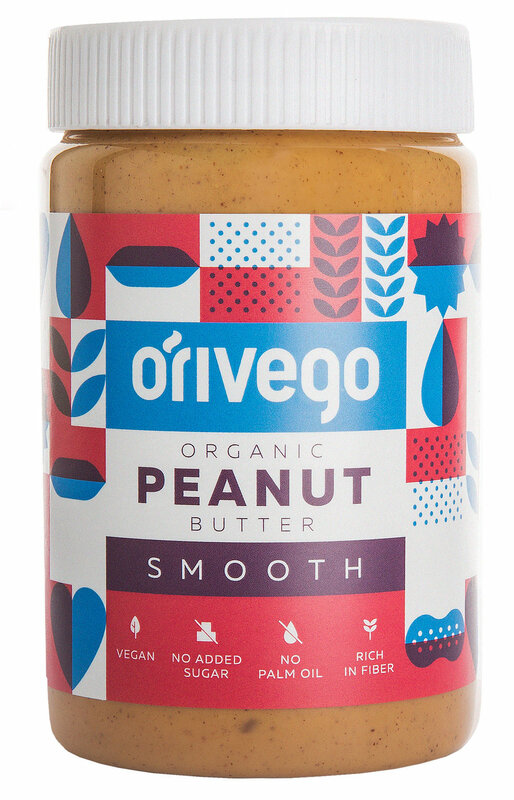 The labels covering most of the jar are modern, clear and playful, at the same time following strict logic. 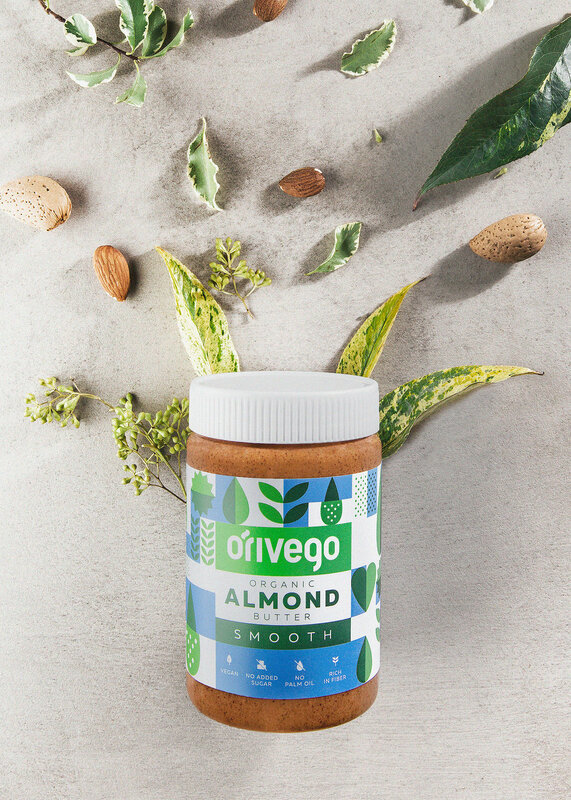 While designing the label it was important to keep a clean minimalistic style, but clearly distinguish the different tastes – peanuts, almonds, hazelnuts as well as smooth and crunchy varieties. 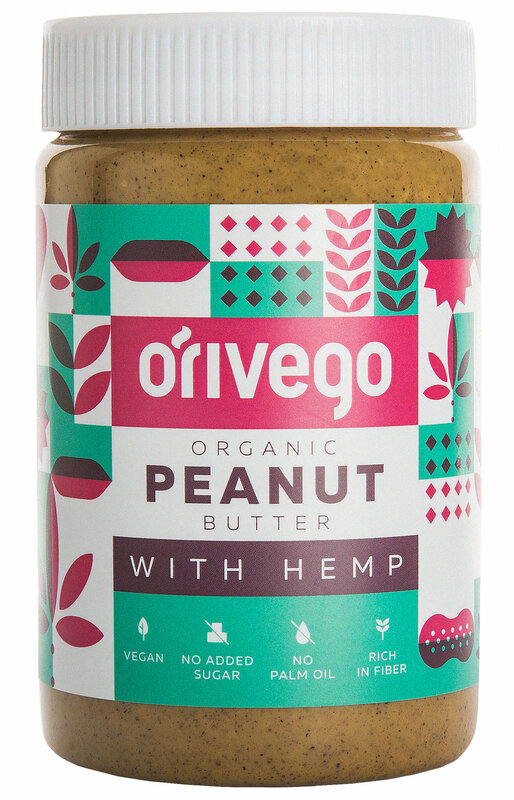 Also, to communicate the important nutritional information, such as no palm oil, no added sugar, no preservatives or other additives. 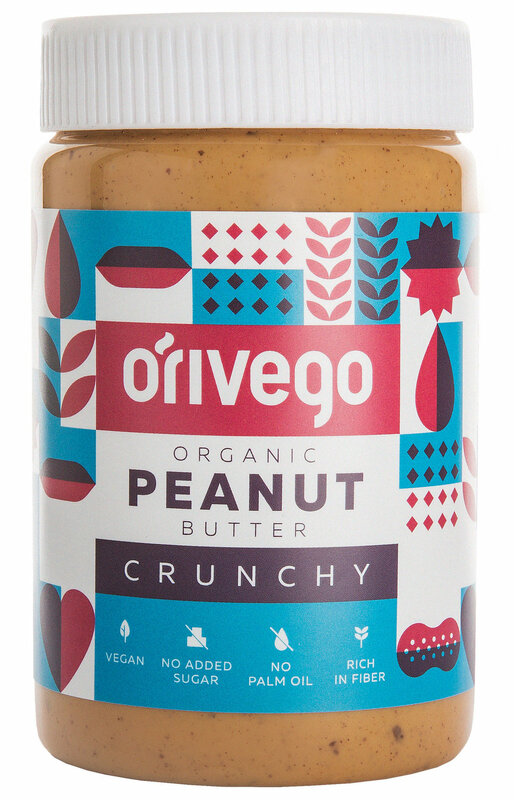 The design idea was a mosaic of square shaped blocks each representing the specific ingredients and general brand values. Only two basic colors are selected to represent each taste and the third color is an overlay of the two. 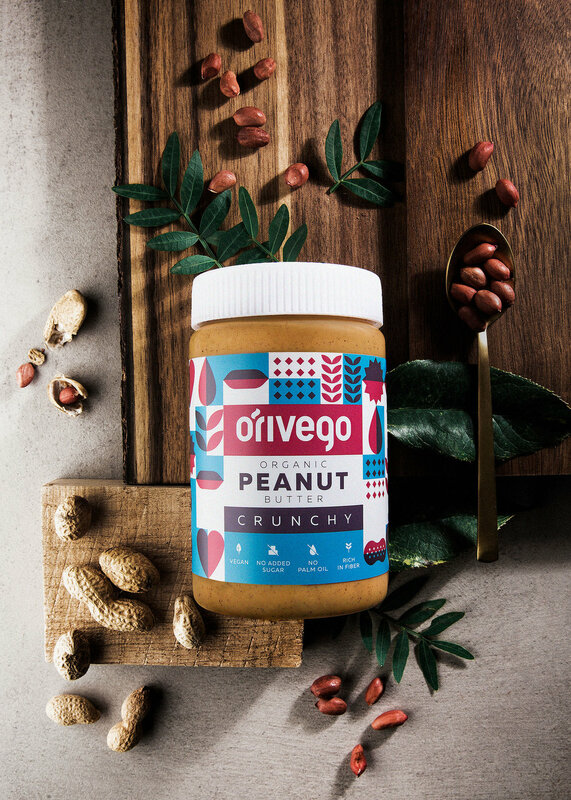 This design solution and its strict logic allows easy expansion of product line into new tastes as well as new formats and new product categories which is in the future plans of ORIVEGO.